It's the hope that kills you! Supporting your team's meant to be a form of escape from life. A release from daily drudgery or a transfer of stress. Instead, it can send you off into a spiral of doom to a cul de sac of despair. And when you mix it with politics, what an explosive cocktail that can set off. Albandoned! Balkan battle is off. Civilian use of drones is set for a big future - indeed scores of new ideas for commercial use are being devised everyday. 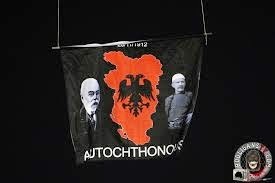 But drone use as protest in international football saw a world first when a flag of Greater Albania was flown into a match with Serbia. Match Abandoned. What a load of Balkans! Sir Alex Ferguson wasn't the only Manchester United man "distraught" with Nani's red card against Real Madrid in the Champions League. An armchair United fan from Bingham in Nottinghamshire was so incensed, he phoned emergency services on 999 to complain. Needless to say, the ref remained firm! When passion outpaces logic that's what happens. In any other walk of life, you might be sectioned for such behaviour. So why does football always seem to explain and excuse temporary madness? Do you remember the United fan who lined up with the rest of the team wearing replica kit with black gym socks before kick off? It took stewards 90 seconds before they realised he was an interloper. Facing forward, arms tucked behind his back, Gary Neville looked quizzical out of his side while trying to observe the anthem! TV companies have a policy of turning the camera away from those who invade the pitch lest it encourages a sea of future disruptions. I well recall a streaker kicking off the 2002 Champions League Final at Hampden. He dribbled through the stationary team of Galacticos (£300m of talent), all waiting for kick-off and the naked man scored! He then did a celebratory moonwalk to a chorus of cheers before the men in yellow and orange bibs whisked him away. (By the way I sat next to Andrei Kanchelskis at that game with a bunch of his Russian mates, who'd smuggled vodka in a flask in and were cheerily drinking it during the match. They also didn't see the whole of the game, but that's a different story). What about the Walsall fan who streaked in the pouring rain during a League Cup tie with West Ham. He was led away by stewards stark bollock naked wrapped in a rug! But his and the stewards night was far from over. He then ran home through the streets of Bescot, dried himself down, put fresh clothes on and went back to the game. He got in to the stadium and then streaked again in the second half! We'd be nowhere without the passions of football fans - and long may it continue! 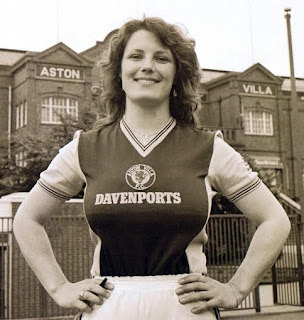 Aston Villa Podcast #2: With A Little Help From Our Friends! After our first podcast was listened to by over a thousand Villa fans, we got a bit ahead of ourselves - rather like U2 uploading their latest album to unsuspecting iTunes subscribers! Anyway, it didn't stop us! This is a chat between me (Bono) and Howard Hodgson (The Edge) - but the content is provided by you - the Villa fans who tweeted us before the show with your questions, views and thoughts. And we open with a tribute to the late Dave Ismay, who loved Villa so much, he wrote and sung a song!